You can select up to 4 travellers in total. 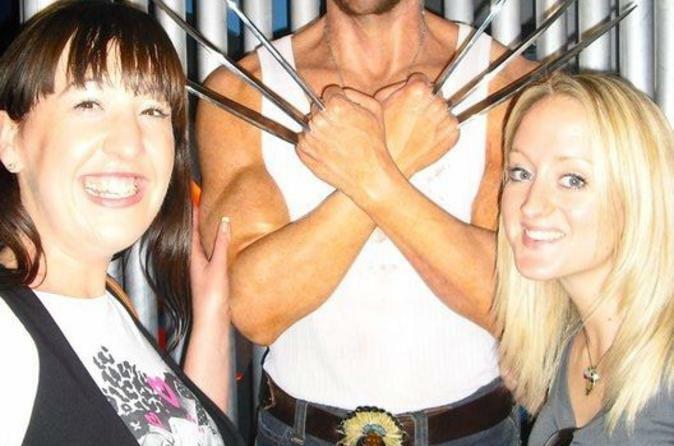 Immerse yourself in glamour and spectacle at Madame Tussauds in London. Head to the world-famous venue and join the dedicated queue for pre-purchased entrance tickets and experience shorter queues than walk-up guests. Spend some quality time with remarkable wax replicas of Her Majesty the Queen, Victoria and David Beckham or take a selfie with a pouty-faced Kim Kardashian. Enjoy access to the Marvel Super Heroes 4D Exhibition and then meet classic Star Wars heroes like Yoda, Luke Skywalker and Princess Leia. 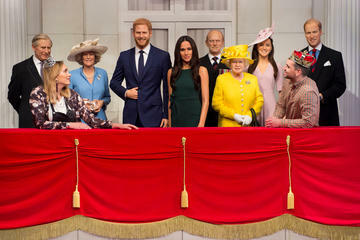 Head into central London and flash your ticket for quick access to the family-friendly Madame Tussauds. View over 300 wax figures throughout 14 themed zones like Bollywood, film and culture. Meet the Royal Family, classic film stars and famous extraterrestrials, as well as some of the world’s greatest artists like Shakespeare and Vincent van Gogh. Take a selfie with Kim Kardashian in her trademark pose, squeeze past the paparazzi hounding Nicole Kidman and Helen Mirren and rub shoulders with other celebs like Morgan Freeman and Colin Firth. Head to the sports zone to see legends like David Beckham and the world's fastest man, Usain Bolt. Next, board a classic black cab and enjoy a ride throughout London’s colorful history, and head into the Marvel Super Heroes 4D movie experience. Combining 4D animation, interactive displays and life-like replicas of super heroes like Spider Man and the Incredible Hulk, this exhibition is fun for all ages. If you're into music, get up close and personal with famous songsters such as Michael Jackson, the Beatles, Freddie Mercury and Bob Marley. Take photos of renowned world leaders like Donald Trump, Theresa May and Angela Merkel. From January 2017, Madame Tussauds London will feature a brand new Theatrical Experience: an adventure within the mysterious world of Sherlock Holmes, fusing illusion, theatre and spectacle. Access to the all new Sherlock Holmes Experience can be purchased on site for £5 and will be subject to availability at time of visit. Finish your visit with a stop in the Star Wars exhibition. Grab your lightsaber for a match against Anakin Skywalker, meet Yoda in Dagobah and head into Jabba the Hutt’s Throne Room. Atmospheric sets will conjure up the high-tech Super Hero world of S.H.I.E.L.D (Supreme Headquarters International Espionage Law-enforcement Division) and you will be able to get close to wax figures of Marvel’s most famous names. There will also be the chance to 'turn hero' yourself in a series of interactive experiences including walking on the ceiling with Spider-Man and stepping into Iron Man’s chest shield. Taking up 900 sq meters over three floors the experience will culminate in a new animated 4D ‘short’ cinema presentation. The story sees a crack team of Super Heroes including Hulk, Spider-Man and Captain America battling against one of Marvel's most villainous baddies in an all new adventure. Star Wars at Madame TussaudsTraverse the swamps of Dagobah with Yoda, wield a lightsaber with Anakin Skywalker, hang out with Han Solo in the cantina bar and more during a visit to the immersive Star Wars at Madame Tussauds experience, created in collaboration with Disney and Lucasfilm. Step into some of the most iconic moments in film history and get up close to 16 of the saga’s most popular heroes and villains. As you make your way through 11 authentic walk-in sets, including Jabba’s Throne Room and the flight deck of the Millennium Falcon, pose for photos with extraordinarily life-like wax figures of your favorite characters. Snap a selfie with Chewbacca, feel the Force alongside Obi-Wan Kenobi and Qui-Gon Jinn and witness the ultimate battle as Luke Skywalker and Darth Vader, embark on their final duel. No standing in lines. Was able to walk right up and use the vouchers for admission. Definitely worth the extra . It was very good. The lines were huge and we were able to enter fast. I did have a problem at the entrance indicated on my reservation. The lady at the entrance said I have to go to another entrance that has a huge line because my ticket cost less that the regular price. I had a little fight with the lady and at the end she let us go in. This was great quick access and love Madame Tussauds was a great way to gain easy access. Would highly recommend. I've been to a few Madame Tussauds but nothing bets the original - worth the visit. No waiting in long lines!